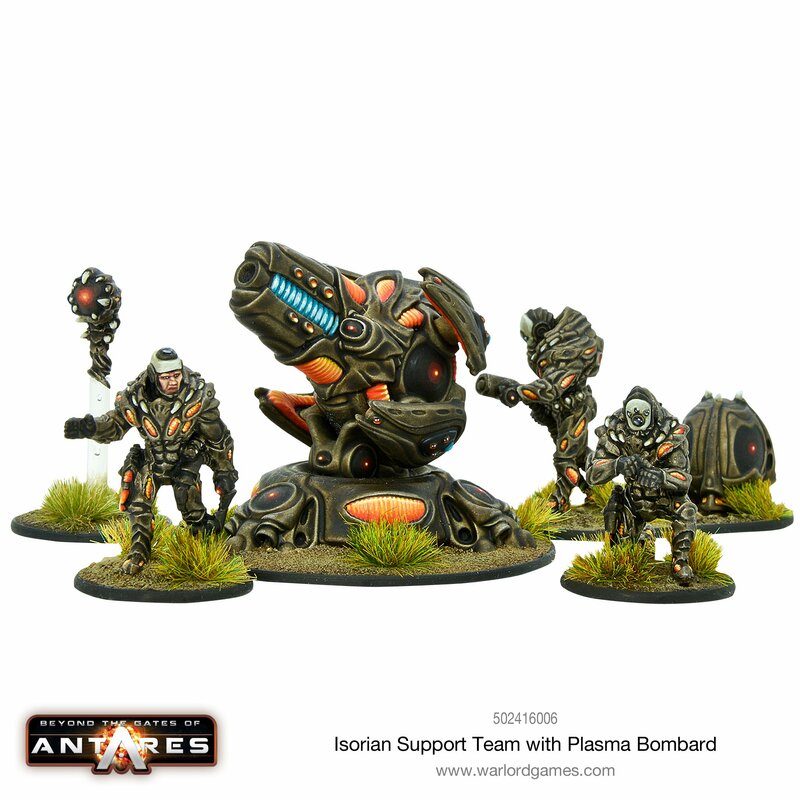 Warlord Games haben zwei neue Sets für Gates of Antares in ihrem Shop. 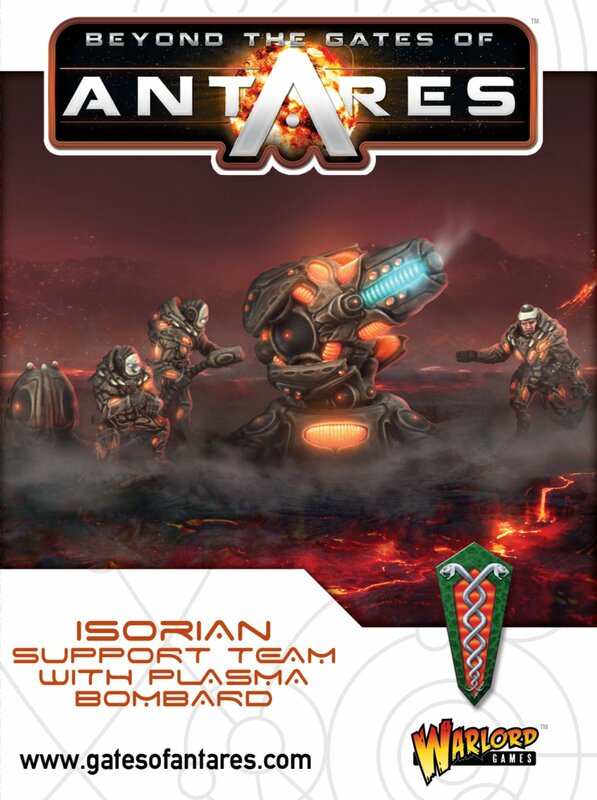 The Krasz are one of the larger panhuman morphs to be found throughout the Antarean Nexus. 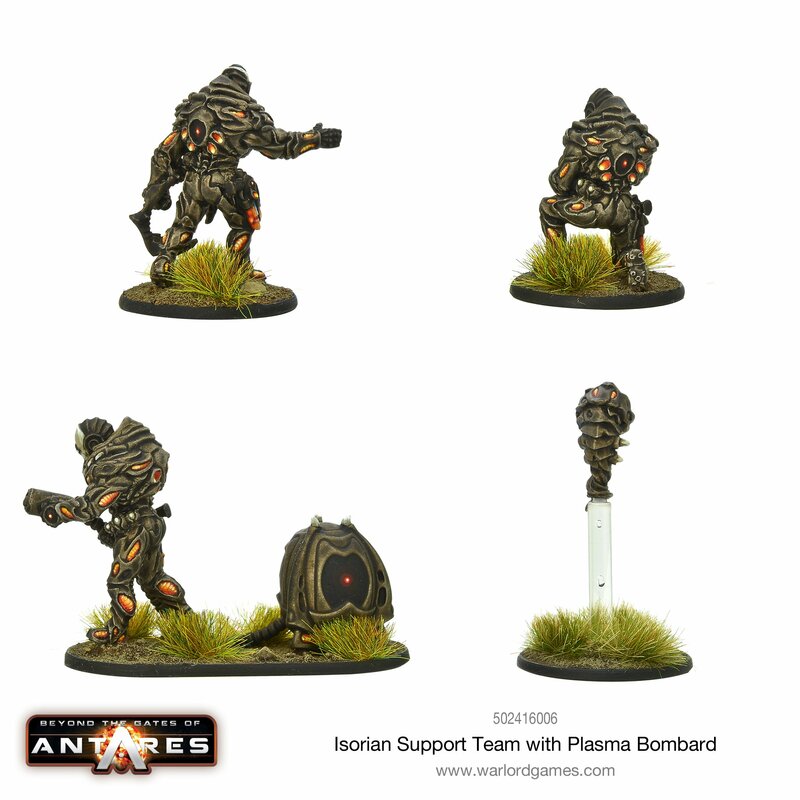 Their origins go back to the distant Second Age when their ancestors are presumed to have evolved upon one of the many new worlds settled at that time. They are large, extremely strong and notoriously unimaginative, but also tremendously disciplined with a highly developed sense of cooperation. Whether they evolved in primitive circumstances as highly effective hunters, or whether they owe part of their genome to deliberate bio-engineering is unknown. 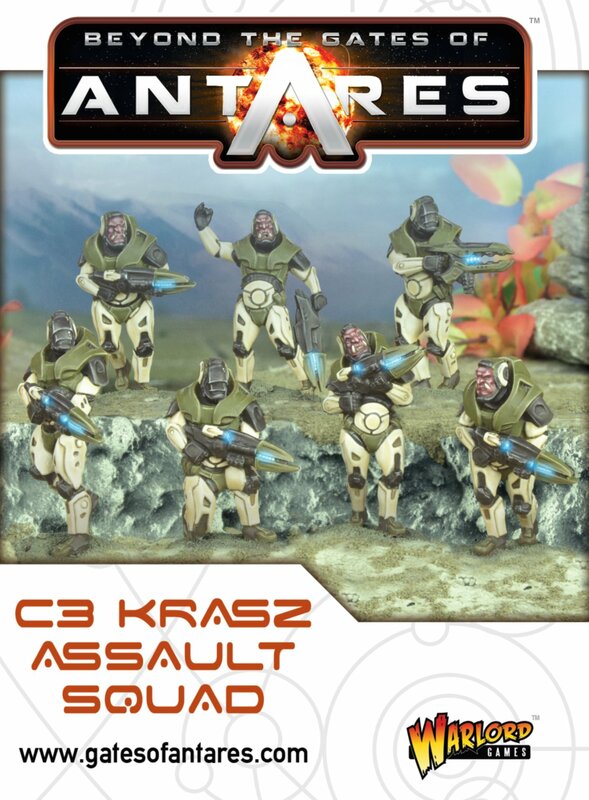 Krasz spread throughout the Nexus in the guise of mercenary troops in past ages, and today they can be found amongst the populations of several planets throughout the Nexus. 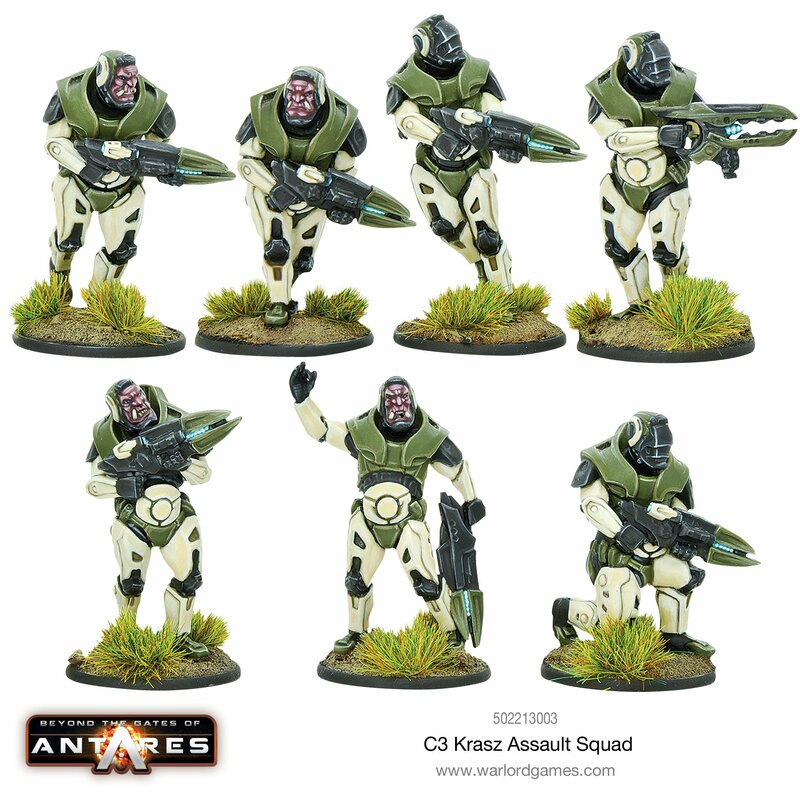 By serendipity the majority of these worlds lie within the borders of the PanHuman Concord, and the Concord Combined Command has taken every opportunity to incorporate them into its armed forces in the guise of Assault Squads. 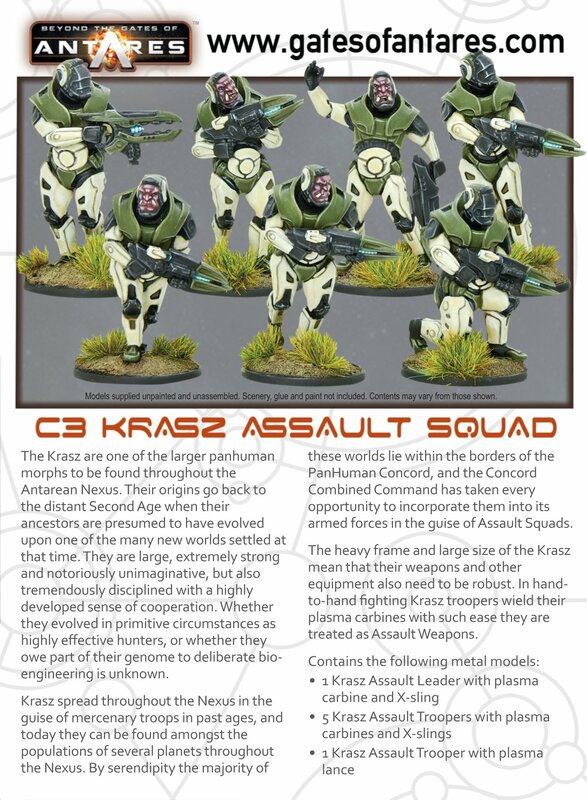 The heavy frame and large size of the Krasz mean that their weapons and other equipment also need to be robust. 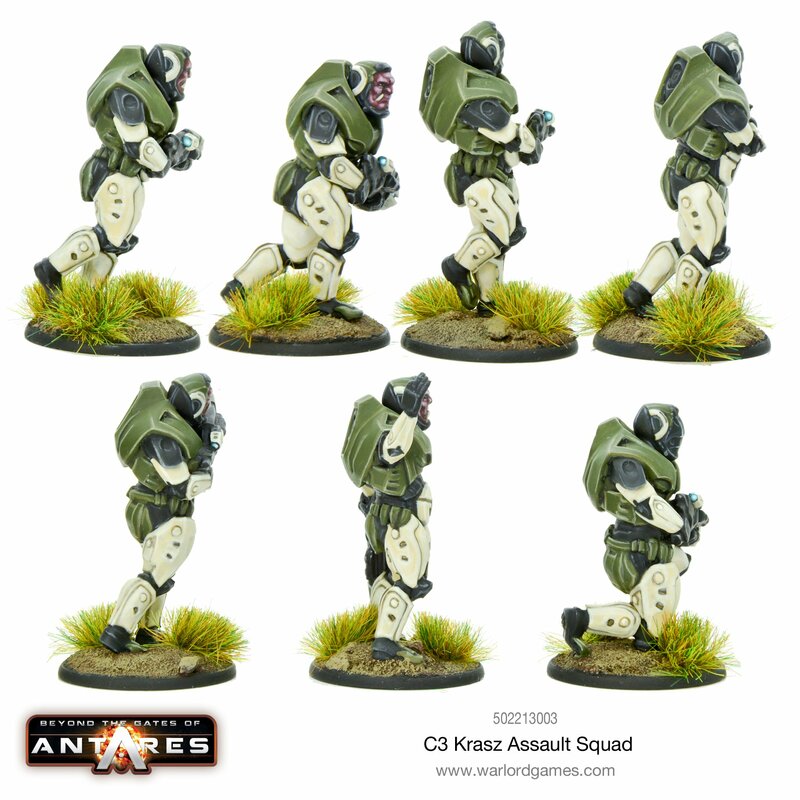 In hand-to-hand fighting Krasz troopers wield their plasma carbines with such ease they are treated as Assault Weapons. 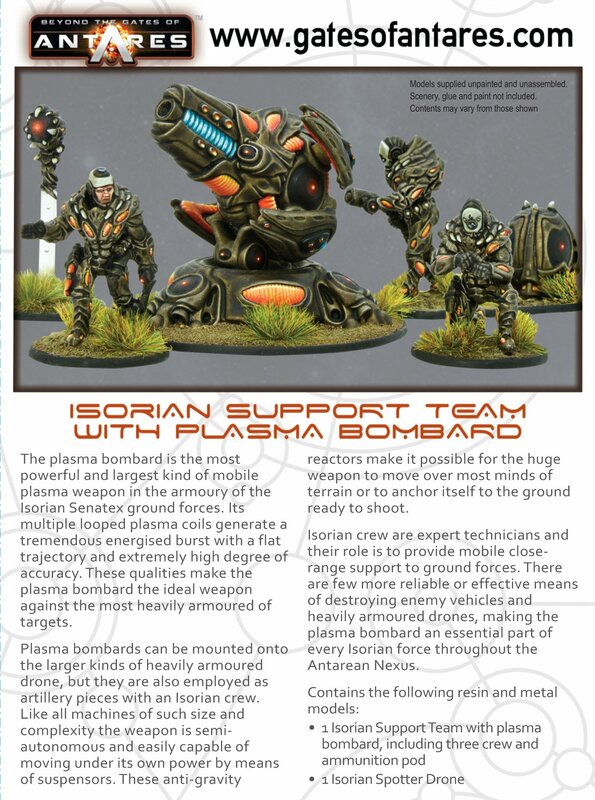 The plasma bombard is the most powerful and largest kind of mobile plasma weapon in the armoury of the Isorian Senatex ground forces. 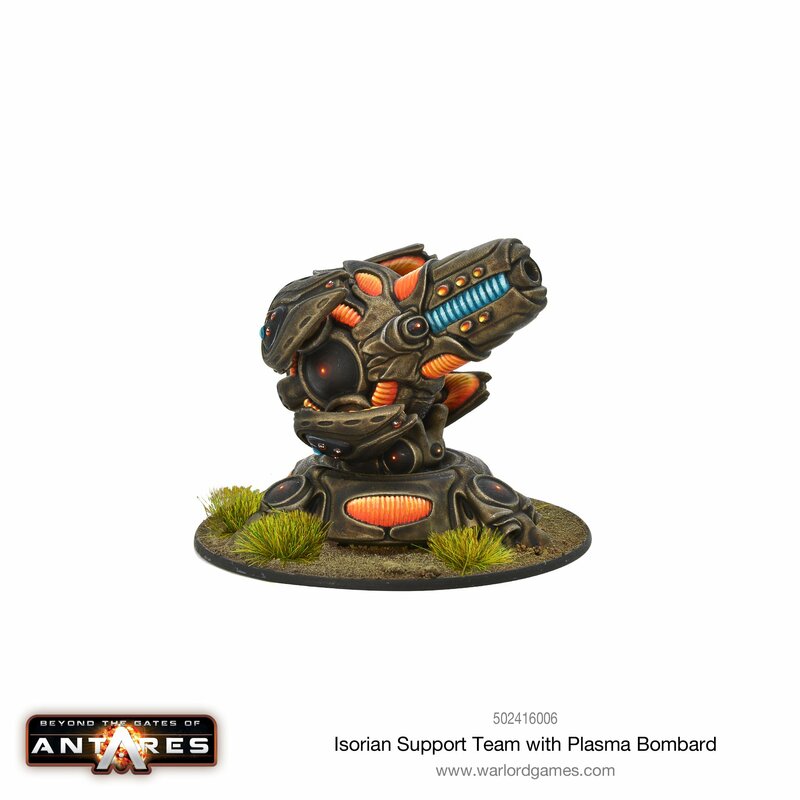 Its multiple looped plasma coils generate a tremendous energised burst with a flat trajectory and extremely high degree of accuracy. 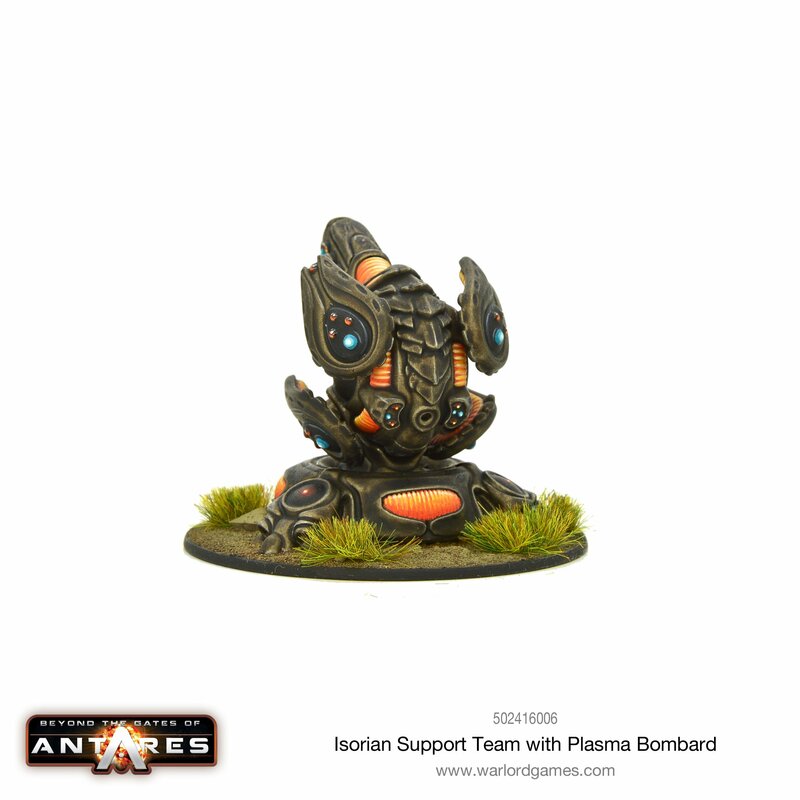 These qualities make the plasma bombard the ideal weapon against the most heavily armoured of targets. 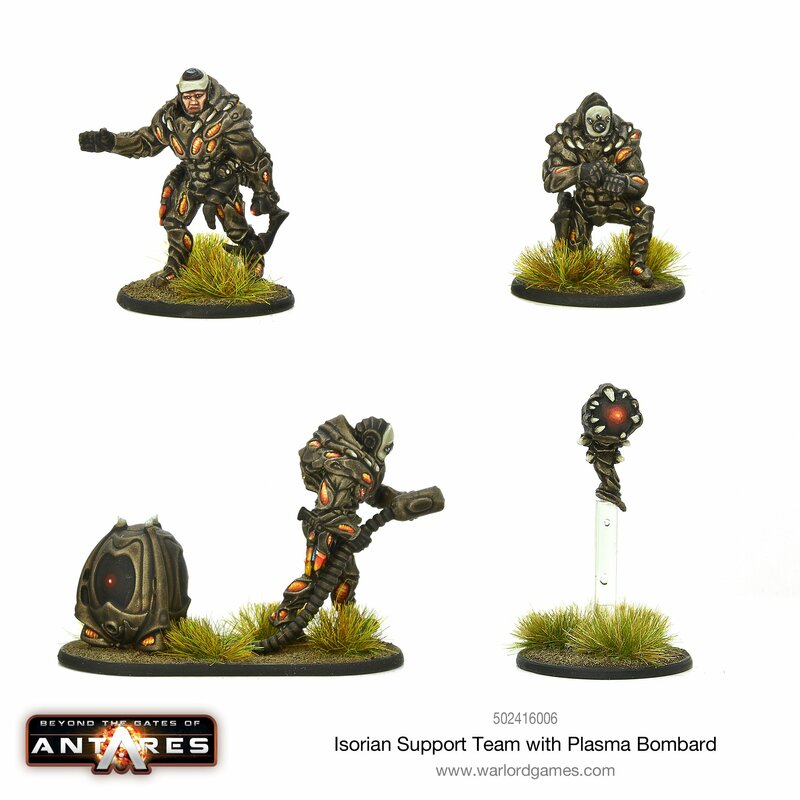 Plasma bombards can be mounted onto the larger kinds of heavily armoured drone, but they are also employed as artillery pieces with an Isorian crew. Like all machines of such size and complexity the weapon is semi-autonomous and easily capable of moving under its own power by means of suspensors. These anti-gravity reactors make it possible for the huge weapon to move over most minds of terrain or to anchor itself to the ground ready to shoot. 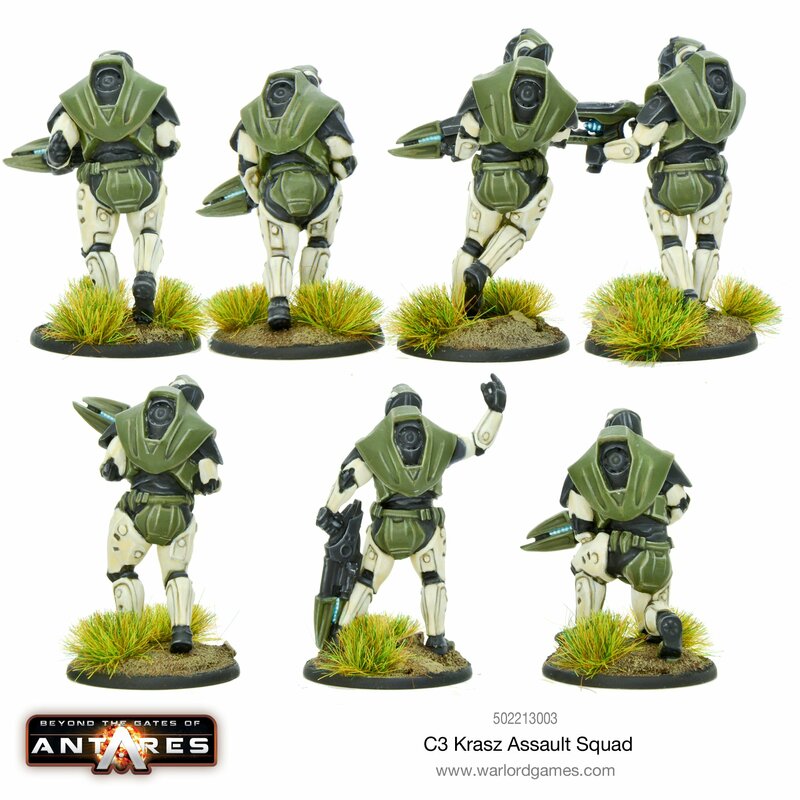 Ich bin bei Gates of Antares irgendwie hin und hergerissen. Einerseits finde ich die neuen Designs toll, andererseits ist die Qualität der modellierten Modelle scheinbar nicht so doll. Bei den Herren in weiß und grün scheint es so, als ob die unteren Stoßzähne platt an der Gesichtshaut anliegen und auch die Gesichter an sich wirken sehr einfach und etwas plump und bei der Geschützmannschaft sind die Beine so extrem dünn geworden, das die Handgelenke einen größeren Umfang haben als die Knöchel. Ich denke mit besser modellierten Modellen würde das alles ganz anders wirken. Es gibt mittlerweile halt wirklich etliche Firmen die zeigen, wie perfekt und detailgetreu man heute arbeiten kann. Wenn ich daran denke wie fasziniert ich als Kind von meinem ersten Hero Quest war und wie extrem sich das alles weiter entwickelt hat, dann bin ich gespannt was in Zukunft noch so kommen wird. Das Rüstungsdesign zieht mich nirgends in den Bann. Es wirkt überall irgendwie fehl-pro­por­ti­o­niert mMN. Und schicke Modelle sind nun mal der Kaufanreiz finde ich.